The wait is over. Today Cooperate finally greets the general public. A big, bold American Double Stout that screams LOCAL! A true IOWA collaboration. This Imperial Stout utilizes Cedar Ridge Bourbon soaked Oak Chips (straight from the distillery), barrel aged coffee beans from Sidecar Coffee Roasters, and Iowa grown Hops. 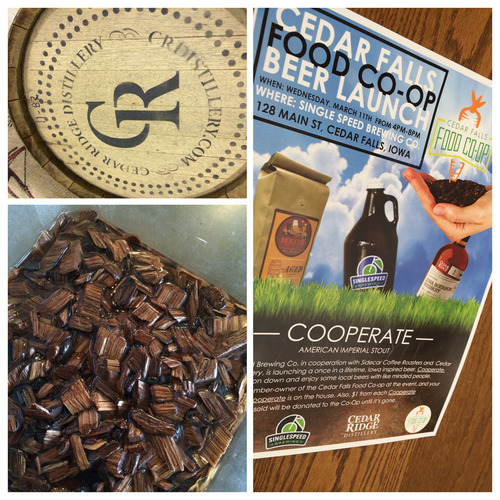 Join the Cedar Falls Food Coop for a 03/11 Launch Party right here in our Tap Room.